Apply a theme to quickly format an entire document and give it a modern, professional look. 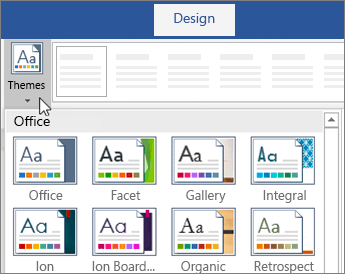 Point to a theme to preview how it will look in your document. Point to a color to preview how it will look in your document. Point to a font to preview how it will look in your document.